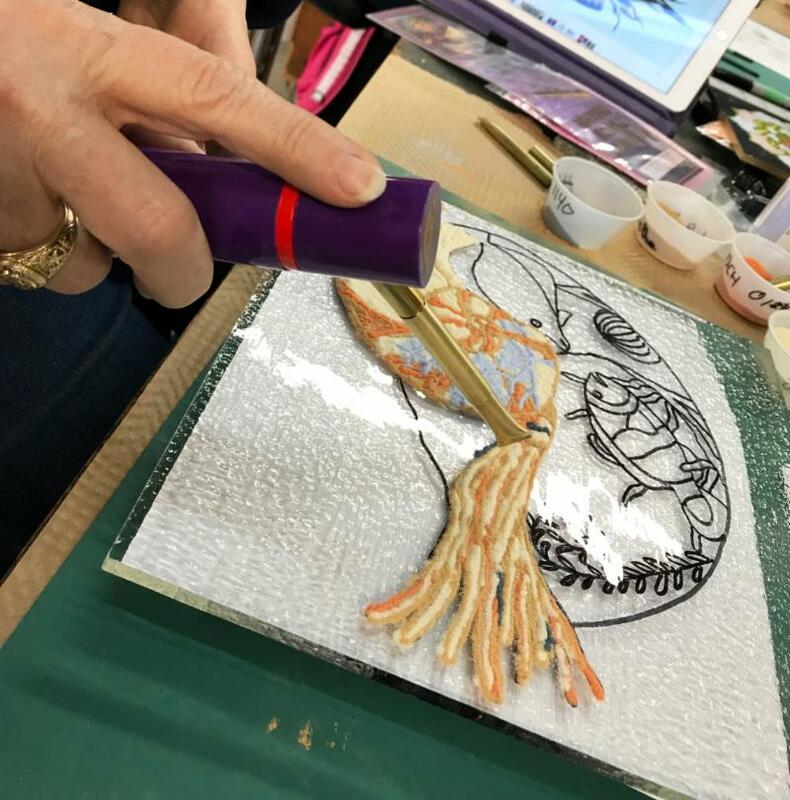 Working with fusible powdered frit is a fun and easy way to add detail and subtle gradation to your fused pieces. Sifted powder can also be used to prevent devitrification and can help reduce air bubbles between layers of glass. 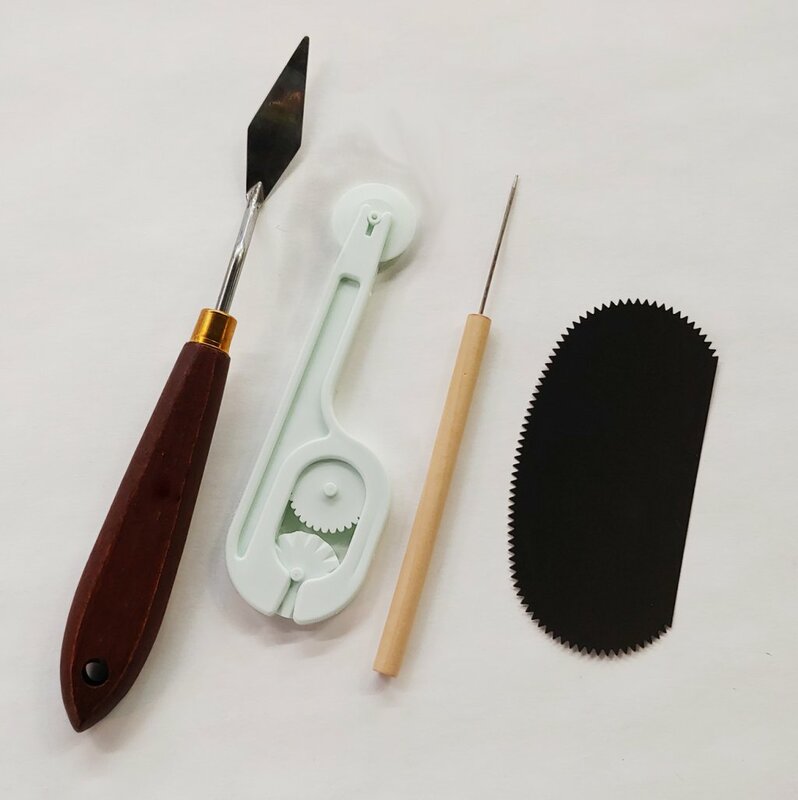 Save big this week and stock up on what you need to go far with these fun techniques! 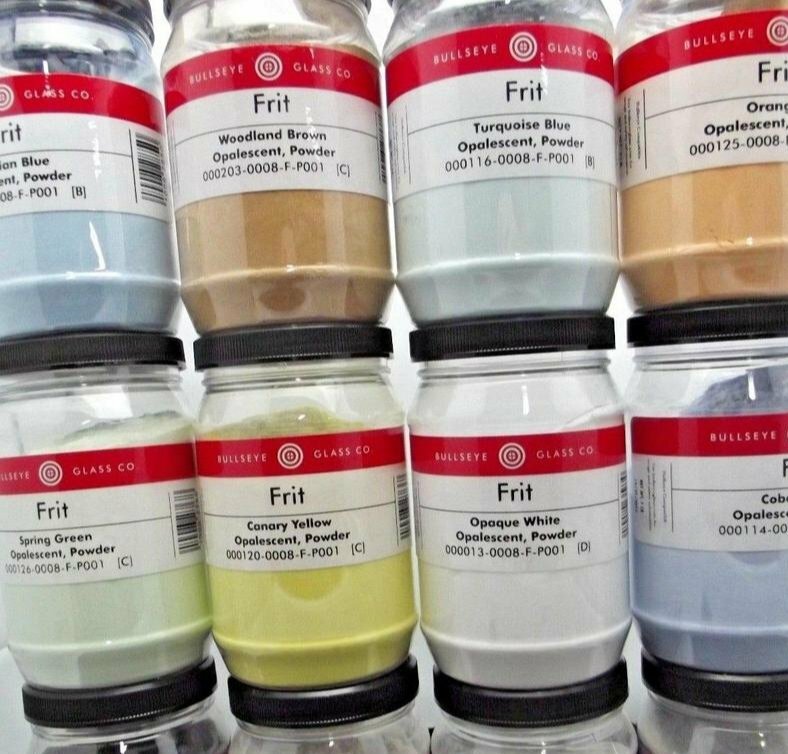 Ground evenly and magnetically cleaned to assure purity, this is your extensive color palette! HUGE range of colors available. Choose from 5 oz, 1 lb, or 5 lb jars. All 90 COE. Get a FREE 3-Tip Set! The quick and easy way to draw with powder! Simply fill the brass tip with the powder of your choice, press the button, and let the P3 do the work for you! The extra tip set will make it easy to keep multiple colors right at your fingertips. 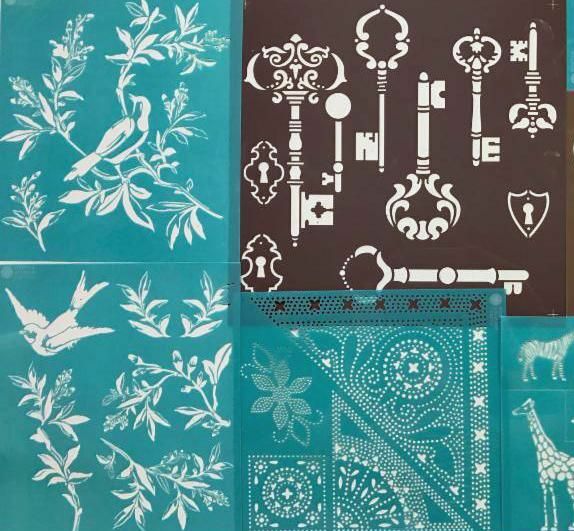 Use these durable plastic stencils over and over again! Huge range of designs to select from. Add detail quickly and easily by sifting powder over them; layer it up for extra detail and depth. The main tools of the trade! 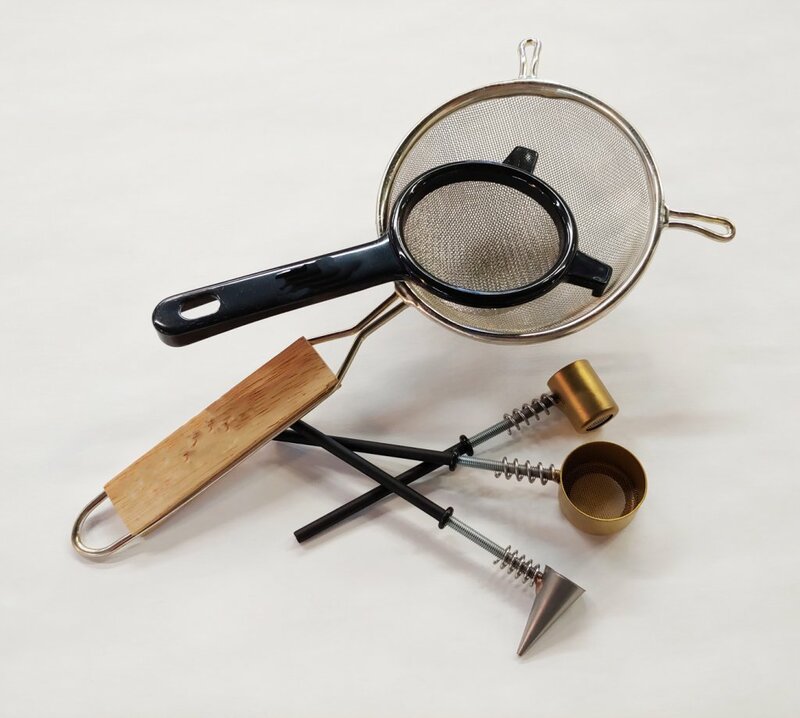 Choose from a variety of brands, sizes, and styles, including cup and line sifters. Once you've sifted your powder, move it, texture it, and make your mark to add tons of detail and make it your own! Lots of styles and sizes to choose from. 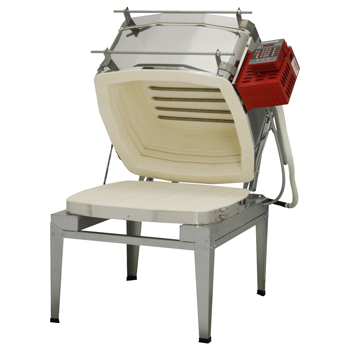 Save 20%* on in-stock and special order kilns ALL MONTH LONG! 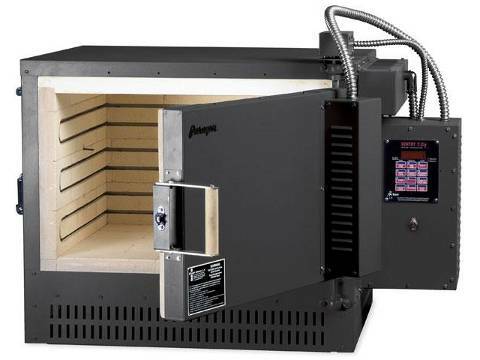 Been waiting for the perfect time to get your perfect kiln? NOW'S THE TIME! Choose from models from Paragon, Evenheat, and JenKen. Not sure what you're looking for? talk to Sharon, our kiln expert, and she'll get you set up right! 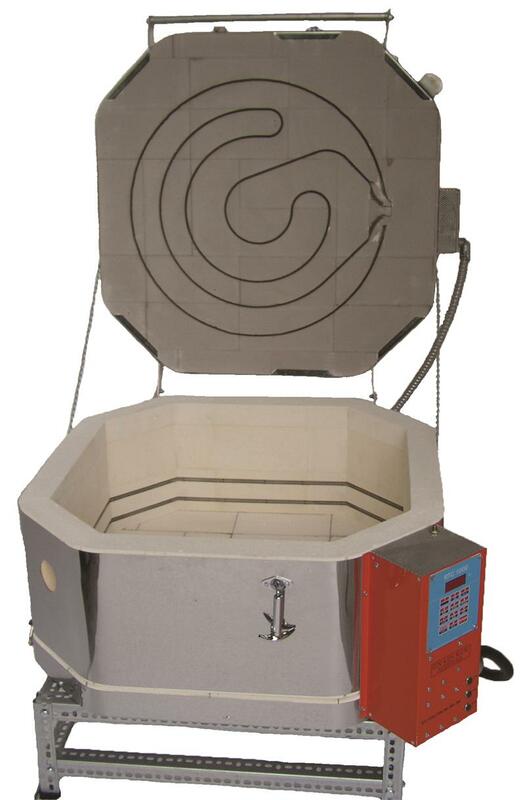 Get a FREE half hour lesson with every new kiln purchase to get you started. *Some restrictions apply, shipping charges may also apply. 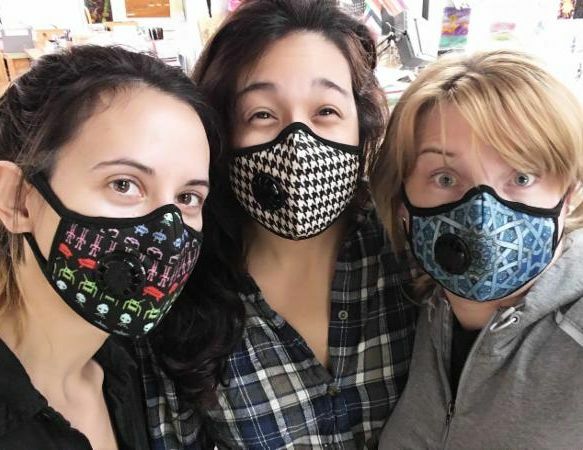 Be sure to sign for our mailing list to receive weekly updates, sale info, news, and coupons!